Hiring A Personal Injury Attorney? What Did You Sign? For today’s post, I’ll assume you’ve decided on a lawyer. And, I’ll assume that lawyer is also willing to take your case. What is the next step? At this point, you will be asked to sign an agreement hiring the attorney. 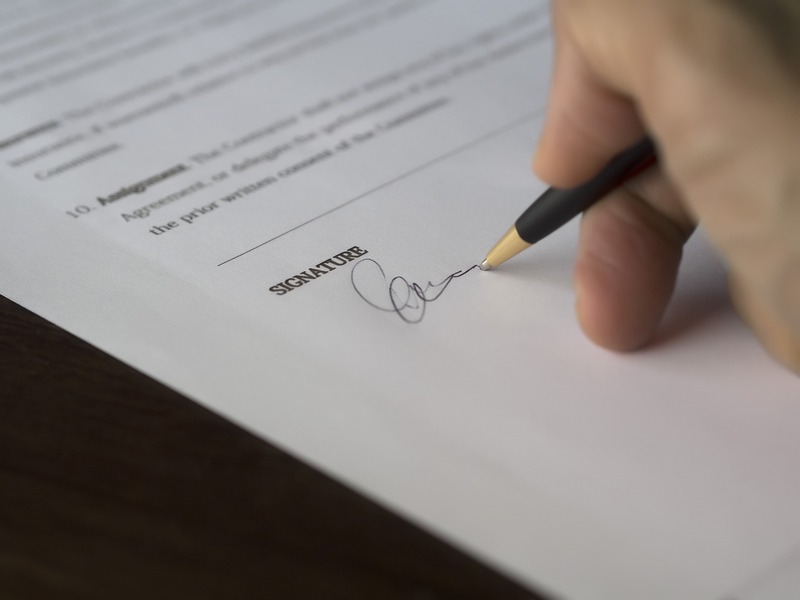 In a personal injury case, this typically means a contingency fee agreement. Contingency fee agreements are standard for injury cases. You certainly NEVER want to hire a lawyer in a risky personal injury case on an hourly fee basis. You also should NEVER be asked to pay for the initial personal injury consultation. That consultation should be both confidential and free. I’ve been practicing personal injury trial work for over two decades. In recent years, I’ve seen a number of shady (or downright unethical) marketing tactics by attorneys. In Huntsville, one billboard firm even advertises for personal injury cases with the intention of referring them instead of preparing them. Face it, they want your case for the fee and NOT to help you. I think that’s wrong. I think this specific billboard firm should stop advertising for cases with the intention of referring them to other lawyers. A clause giving the attorney the right to settle your case. The right to settle your personal injury case belongs to you (and only you). Let me say that again. The right to settle your case belongs to you and nobody else. The attorney’s job is to advise you and prepare your claim. A clause charging an upfront administrative fee. According to the official at the Alabama State Bar, some unethical lawyers are attempting to charge upfront administrative fees in addition to a contingency fee. This is not money to reimburse the lawyer for actual case expenses. These are simply upfront general charges unrelated to a specific expense. And, upfront administrative fees are not ethical. A clause limiting representation simply to settlement negotiations. In Huntsville, we have one local attorney who regularly appears on television (sometimes in a cape) and advertises he will keep you out of court. His advertisements clearly send a message to insurance companies that he will settle his cases for low amounts. It’s no surprise that I’ve never seen this lawyer at the courthouse. I don’t know what the Huntsville caped lawyer charges. But, I have recently learned that some billboard/television lawyers actually insert language into their contract that they will not take cases to court. Wow! Do you want a lawyer that poses NO threat to the insurance company? A clause allowing the lawyer to charge additional fees on lien reduction. If you are injured and received medical care, you may have subrogation claims or liens against your case. Hospitals frequently file medical liens. Health insurers/payers like Blue Cross and Medicare also have certain rights to reimbursement. A good lawyer understands these legal issues and can often save you a lot of money. In my opinion, this is part of the service. At our office, we help our clients with these issues. We do NOT charge extra because that is wrong. I was shocked to learn that one local lawyer routinely charges extra. That is, he charges a contingency fee for the settlement and another fee if successful in reducing a lien claim. I believe that is very wrong. And, it is not in your best interest. If you need a personal injury attorney, it’s important you find an attorney who is skilled. It’s also important to find an attorney who will work for your interest. Attorneys should always put their client first. However, a few do not. If you are working through the legal process, ask questions. Your attorney should be happy to provide answers. At the Blackwell Law Firm, we believe in helping our clients. Our philosophy revolves around hard work and preparation. If you have specific legal questions, give us a call. Consultations are always free and confidential. We are happy to answer questions. We also encourage you to read our blog articles. We frequently address issues related to personal injury in Alabama.